3 major international players: Expedia (with Hotels.com, Trivago, Hotwire, Wotif, Travelocity and now, Orbitz), Priceline (with Booking.com, Agoda, Kayak and OpenTable) and TripAdvisor (which now operates more than 25 travel brands). 2- The next battle will be about vacation rentals. Major players, from Airbnb and HomeAway to Priceline and TripAdvisor, have tapped into only about 1/5th of the addressable $100 billion vacation-rental and alternative-lodging market (Evercore, April 2015). While making good progress in this space, both Priceline and Tripadvisor are still significantly lagging behind the first two in terms of inventory – especially in the “vacation rental by owner” segment, i.e. property managed directly by owners. The only way they could catch up with the leaders would be to either acquire one of them (most likely HomeAway as AirBNB’s valuation makes it too expensive) or team up with a 3rd party inventory management system like MyVR.com or FutureStay.com. Large OTAs will remain generalists, that is, focussing on the actual booking experience; this will allow niche specialists to emerge. 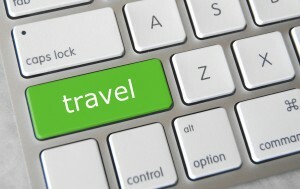 In recent years we have seen a number of new entrants offering traveller-centric tools or content. For instance, Routehappy.com helps travellers find “the happiest flight experience for the cheapest price” focusing on amenities such as comfortable seats, Wi-Fi, in-seat power and entertainment. Another example is the Singapore-based Quotient TravelPlanner, which provides its customers with private and highly customised holidays. This will continue in the foreseeable future as OTAs have bigger fish to fry; they will be focusing on scale in order to acquire even more customers, thereby leaving smaller players to cater to bespoke needs. 4- The distinction between pure player and bricks and mortar will disappear over time. I remember in 2000, while working for the GDS Amadeus, that the emergence of online travel marked a revolution in the shopping for and buying of travel. At that time it was seen as the Holy Grail and every analyst was predicting the end of the offline travel world. 15 years later, guess what? Players like Flight Centre or The Travel Corporation are still there and doing extremely well. Flight Centre alone has had normalised return on equity averaging 26% over the last 10 years, 28% over the last five years and 33% over the last three years. So despite the growth of online, offline is far from dead. Quite the opposite, stores are now the new black in the e-commerce world. While these might sound counter-intuitive, more and more online pure players, looking to get closer to their consumers, open brick-and-mortar stores: Amazon opened its first store last February in Indiana on the Purdue University campus and Google now has a shop in London where people can obviously buy Android phones and tablets but also virtually travel to any part of the world through an immersive large screen using Google Maps technology. It is not that different in the travel industry. While obviously here logistics and offline consumer experience are not that relevant, online pure players like us will still have to enter this space to be able to service certain needs. Try to book a perfect trip online if you are time poor, or a multi-segment family trip, you will see that the experience is less than ideal and that it takes up a lot of time. Having offline presence would help OTAs to push their brand further and offer a better consumer experience through advice and expertise. The fusion between online and offline has already started with the leading Indian OTA MakeMyTrip that operates 60 retail stores, the Australian offline player, HelloWorld, which reoriented its strategy around online distribution through its partnership with Orbitz or CVC, the largest travel agency in Brazil, which announced earlier this year the purchase of the #2 OTA, Submarino Viagens.